The Brady Bunch kids have changed a lot since they first graced our screens. Source: Getty. The stars of one of America’s favourite television shows, The Brady Bunch, have taken a step back in time for a special reunion at their fictional former home in Los Angeles. 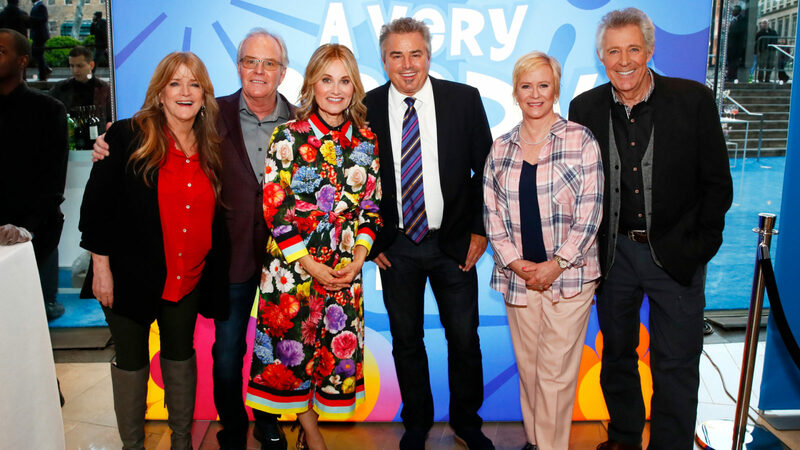 For the first time in 15 years, all six Brady kids – Barry Williams, Maureen McCormick, Christopher Knight, Eve Plumb, Mike Lookinland, and Susan Olsen – got together to transform the iconic Brady house as part of new show A Very Brady Renovation. The gorgeous home – which housed Mike Brady and his three charming sons Greg, Peter and Bobby, along with Carol and her three blonde daughters Marcia, Jan and Cindy – received a complete renovation to mirror the house at the centre of the famed sitcom. While the exterior of the beloved home was used for filming, the internal scenes were actually shot in a Hollywood film studio, so the inside didn’t look anything like the home the Brady’s lived in. To preserve the memories of children across the world, the stars teamed up in November to transform the house, reportedly worth $3.5 million. Speaking about the experience this week on morning show Today , the six “siblings” explained it was the first time they had all been together in 15 years. “It’s been [15 years] since all of us have been back together,” 62-year-old McCormick – who played Marcia – told the hosts. Each member of the Brady family was tasked to renovate one room in the home to make it look as close to what viewers saw on TV during the 1960s and ’70s. For 58-year-old Mike – who played Bobby – it was the master bedroom, which he joked was a bit of a challenge as his character never went in the room. “They’re very specific about what goes in the house, down to the wallpaper… they have us staining cabinets and hammering nails,” Eve, 60, who played Jan, explained. With 50 years passed since the show first braced TV screens, the stars said it was a great chance for them to reminisce on their time on the show and the great moments shared together. The nostalgic get-together comes months after the house was listed as being back on the market. At the time it was selling for US$1,885,000 (AU$2,548,623, UK£1,449,753), according to real estate agent Ernie Carswell and Partners. A Very Brady Renovation is set to air in the US in September. Do you remember watching The Brady Bunch as a child?